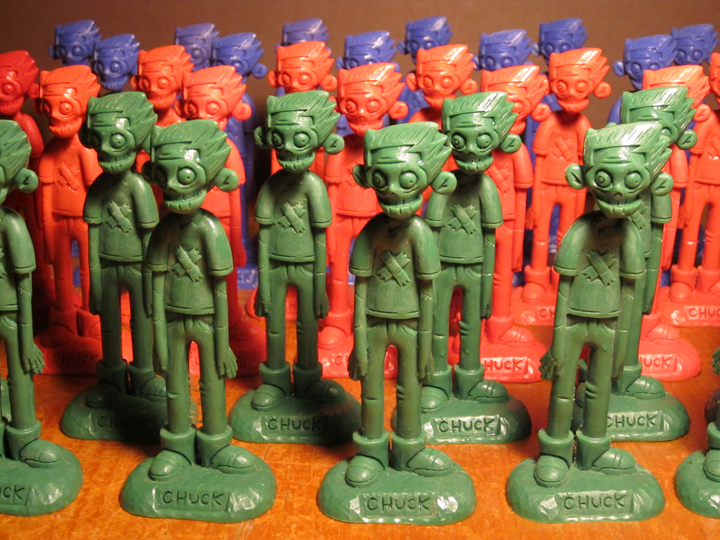 An army of Zombie Chuck toys, based on the comic book by Brian Fyffe. Brian Fyffe writes and draws the comic book Zombie Chuck. He lives in Kansas City, Missouri.